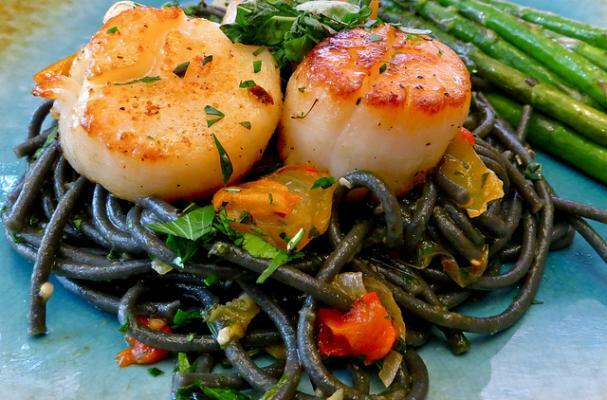 Brighten up your dinner plate with this beautiful and delicious dish of Squid Ink Pasta, Scallops and Fresh Vegetables from The Solo Cook. The taste of squid ink pasta is not too different from traditional pasta, but with a lovely subtle salty flavor - something you want in the flavor of a pasta anyway! This is an elegant (and easy!) dinner recipe that's perfect any night of the week. Click here to get The Solo Cook's vibrant recipe and watch her informative video.